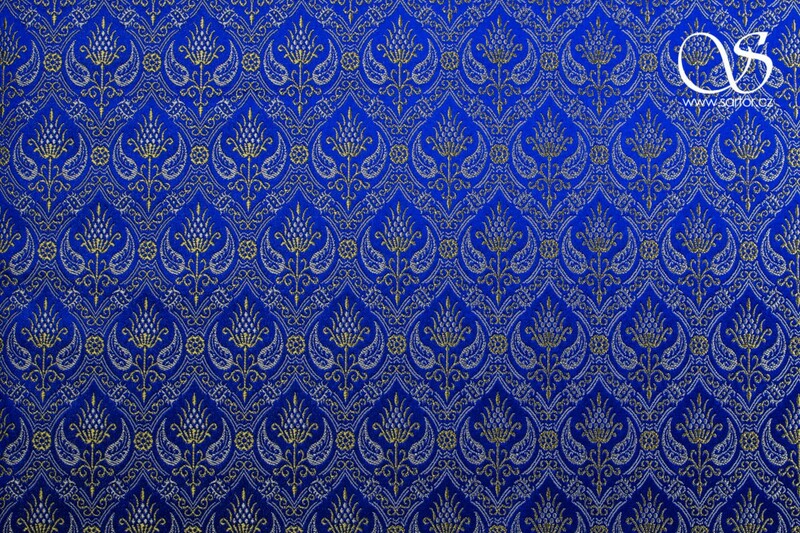 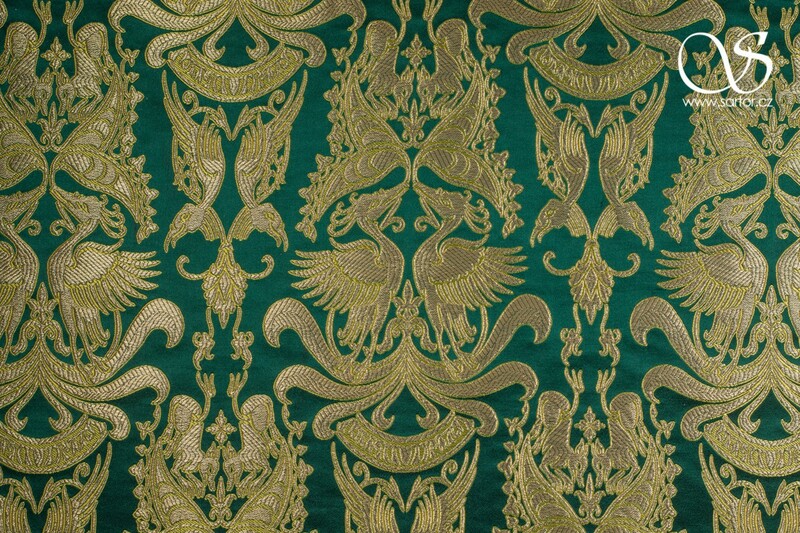 This unique lampas textile is a reconstruction of a burial vestment of the first Czech Habsburg king Rudolf I. 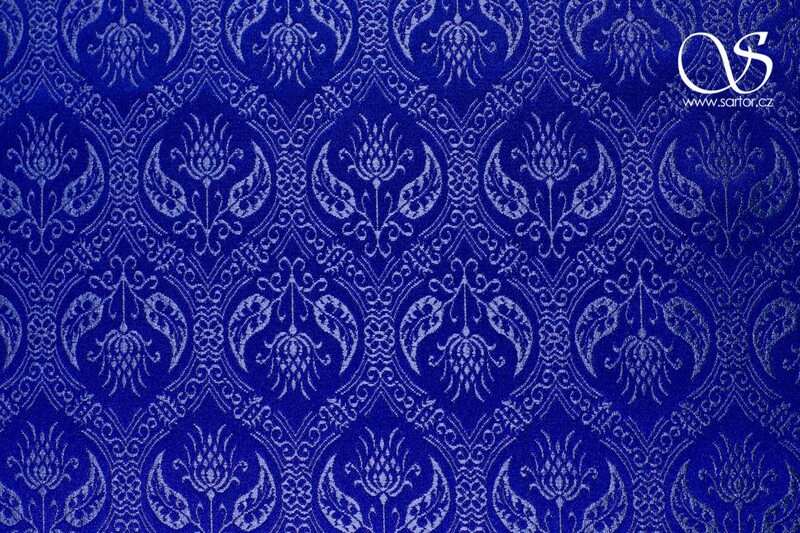 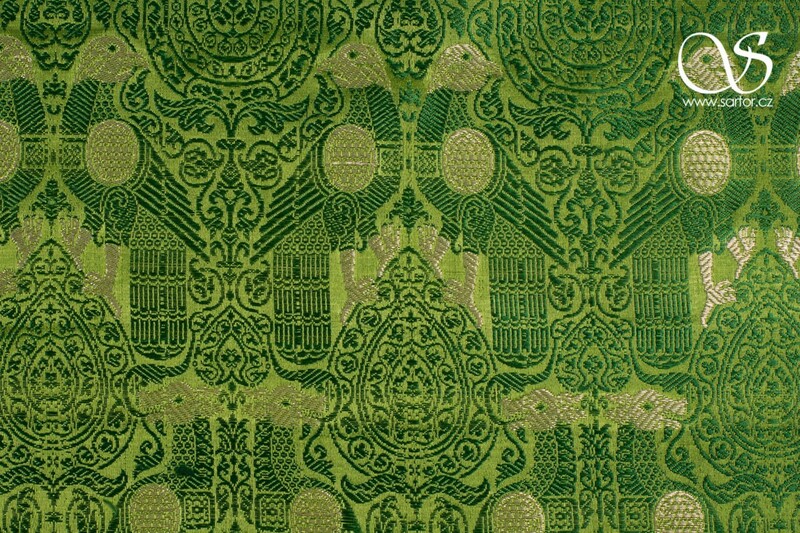 The original textile is dated to late 13th century middle East (Turkestan). 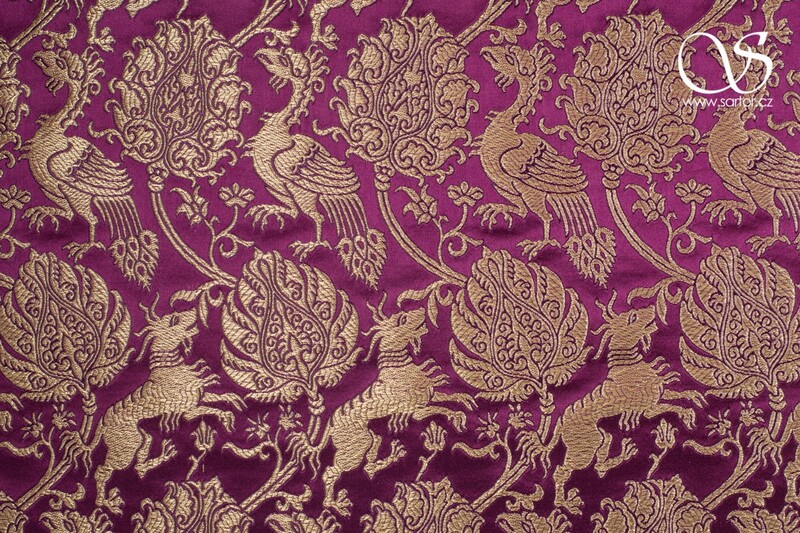 The motive itself is typical for luxury imported fabrics from the 13th century that would suit the most expensive noble garments. 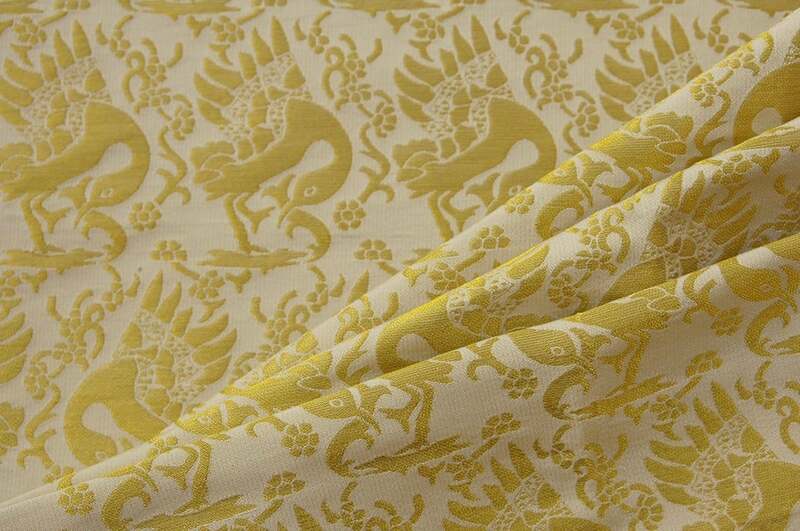 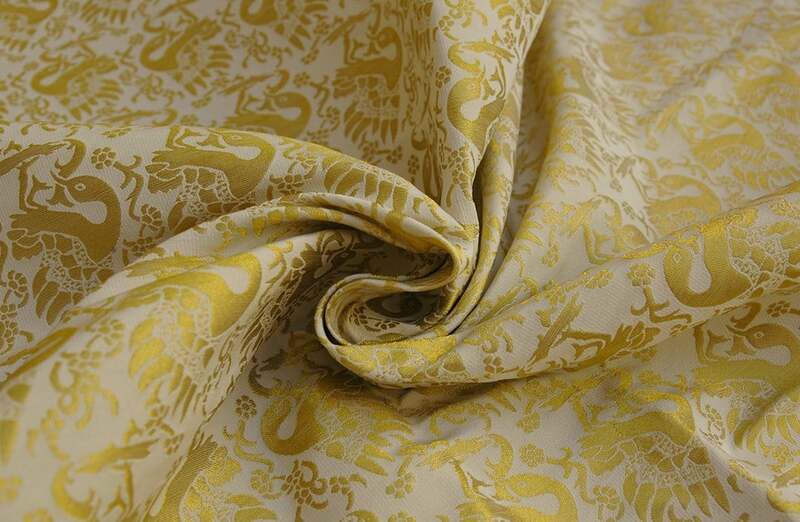 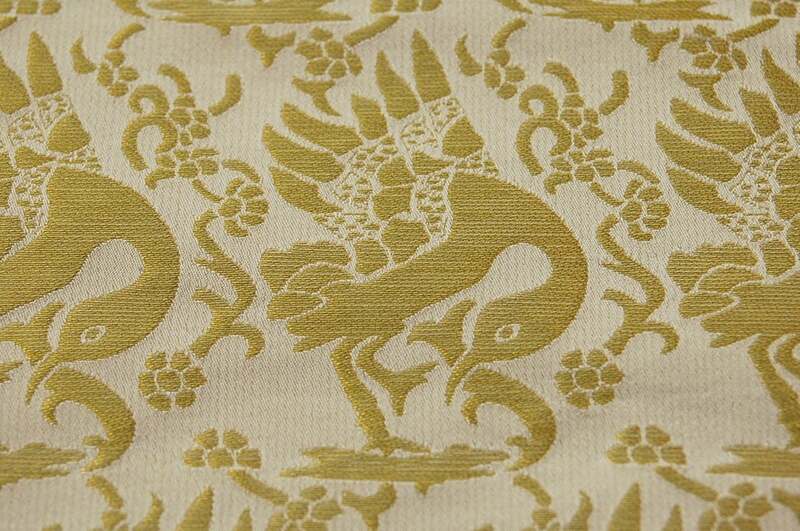 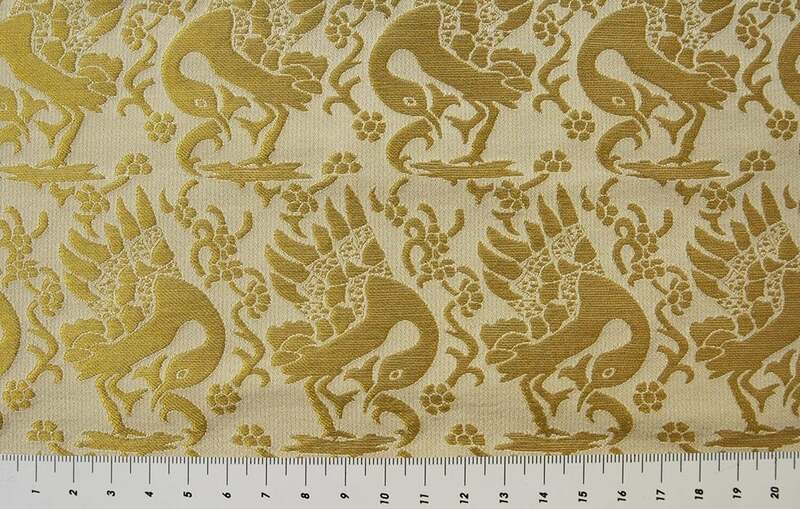 On an ivory background there are rows of swans woven in gold metallic thread. 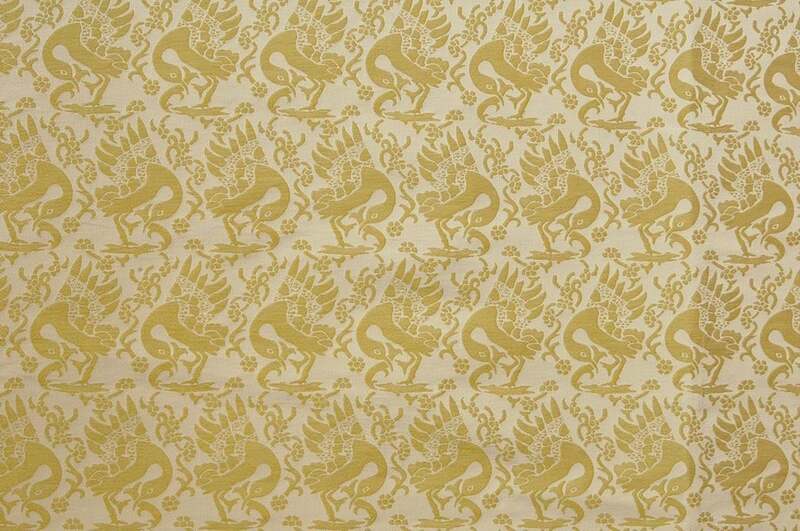 The swans have open wings, their heads bend to the ground while holding a tree branch in their beacs. 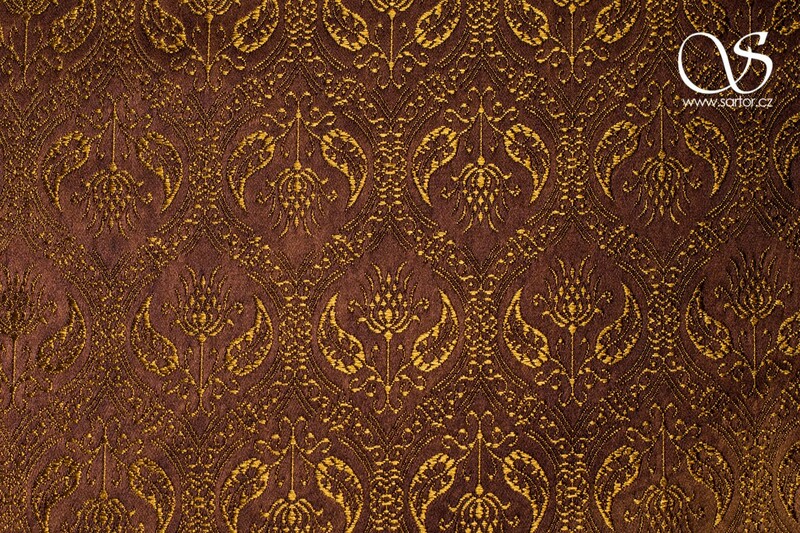 This lampas was used to make a base tunic of Rudolf's burial vestment, which consisted also of a surcotte and a cloak. 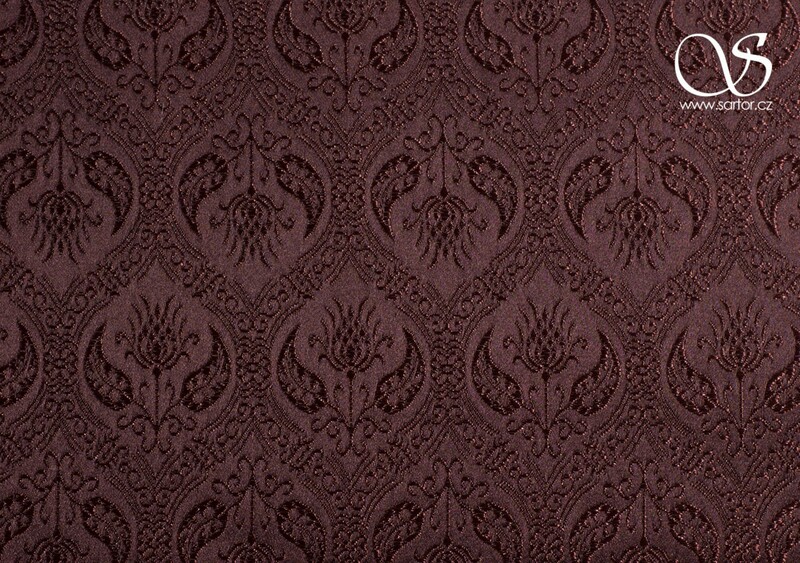 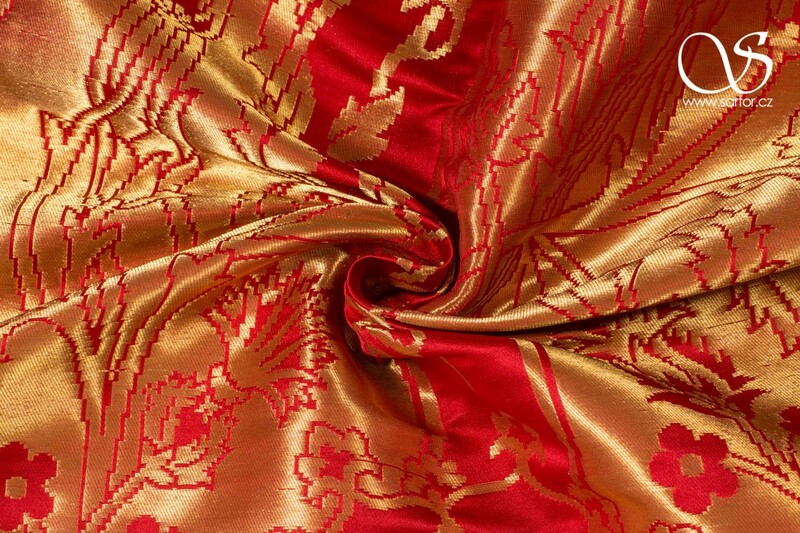 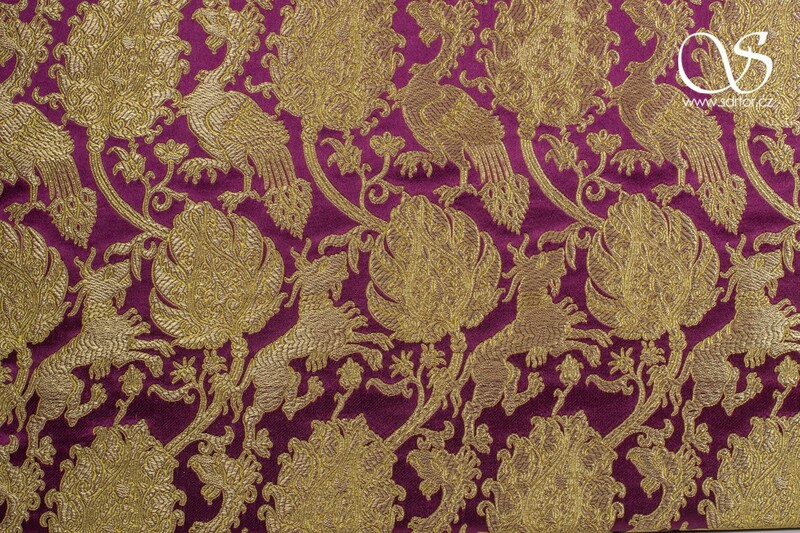 The original textile of the cloak is also one of our reproductions, see Brocade of Rudolf Habsburg. 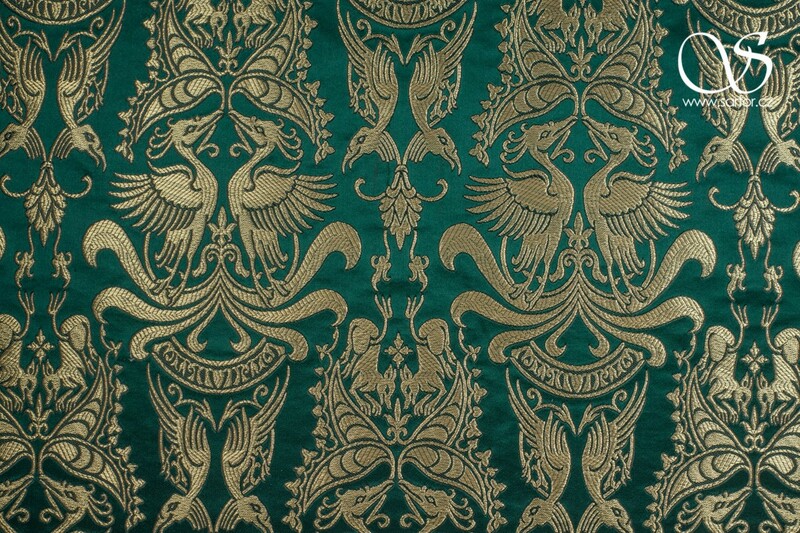 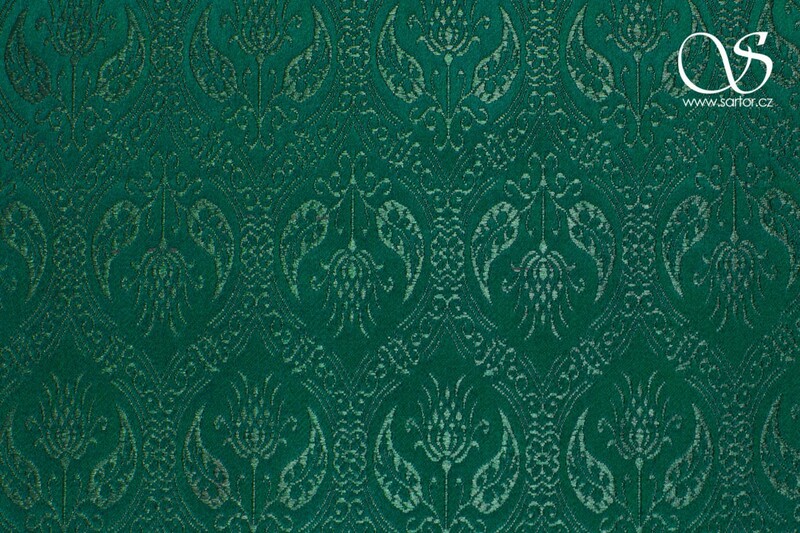 The original textile is part of a unique set of gothic funeral vestments that were excavated in 1993 in the crypt of St. Vitus Cathedral and underwent a thorought textile-historical research. 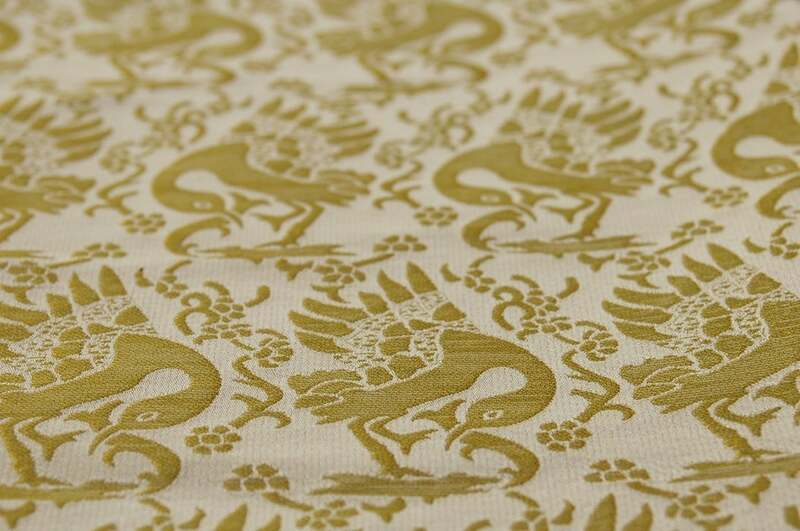 At present the fabric is deposited in the depository of the textile archeological collection of Prague Castle.